The intriguing concept of reincarnation colors this prison story. 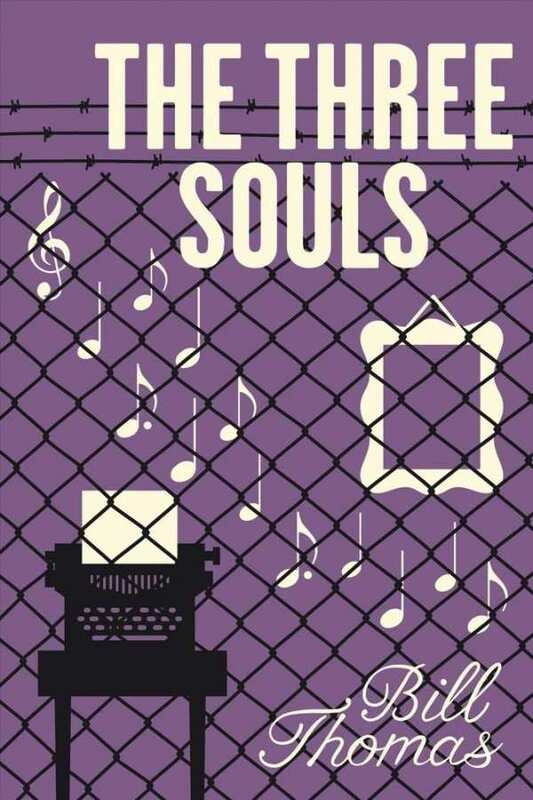 Bill Thomas’s The Three Souls is a brisk story with an intriguing premise, centered on mistaken identity, the trials of prison life, and reincarnation. The story is set in the early 1960s. References to President Kennedy and the Beatles ground it, as do details about the troubling realities of life in prison. It is otherwise a breezy and thoughtful trip. Texas trucker Johnny Chambers minds his own business. He has a beautiful waitress girlfriend, Kitty. Both of their lives hit the skids when they lose their jobs and find themselves unable to make ends meet. Further complicating matters, Johnny is framed for a robbery after he lends his car—with a gun under the front seat—to a former coworker. He is arrested and convicted, and Kitty is forced to move back in with her mother. The real action takes place in the Huntsville prison where Johnny lands. He tries to maintain hope as his attorney tracks down the man who framed him. He is stuck making license plates with fellow inmates Vinny and David, and the three become friends. Near-death experiences endowed Vinny with artistic abilities and David with musical affinity. Johnny believes the two are reincarnations of van Gogh and Mozart, and their skills, which blow everyone away, also spark jealousy in some inmates. The tension results in a beating for Johnny that lands him in a coma, from which he emerges convinced that he is Hemingway reincarnated. The story rolls along with relentless action. A variety of events unfold, working toward a prison break. The concept of reincarnation is intriguing and colors the story, but serves as a backdrop to the action. Most forward movement is perfunctory. Of the characters, only Johnny displays emotion, and only on occasion. He is generally stoic. Drama is observed, rather than being truly experienced. Writing is straightforward and engaging, though it takes a play-by-play approach more so than it engages in thoughtful pondering. A few clichés emerge, such as a corrupt prison warden and a head guard on the make with a bad gang of inmates. Johnny is a sympathetic as an underdog character, but the story only grazes his surface. He is a shallow and apathetic protagonist. Supporting characters are efficiently sketched, and details of prison life are believable and stark. Brisk, consistent dialogue pulls the motion forward, lending credibility to the action. The unique concept of reincarnation is a twist that holds attention, but also begs to be explored further. The Three Souls explores societal underbellies in an interesting, zippy way.